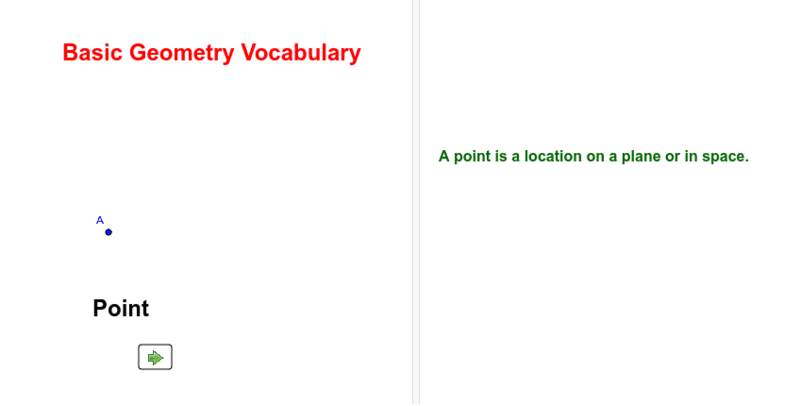 This lessons reviews Basic Geometry Vocabulary with interactive displays of the vocabulary. Point(s), Plane, Line, Segment, Ray, Angle, Side(s), Vertex, etc. Step 2 of the windmills creation.